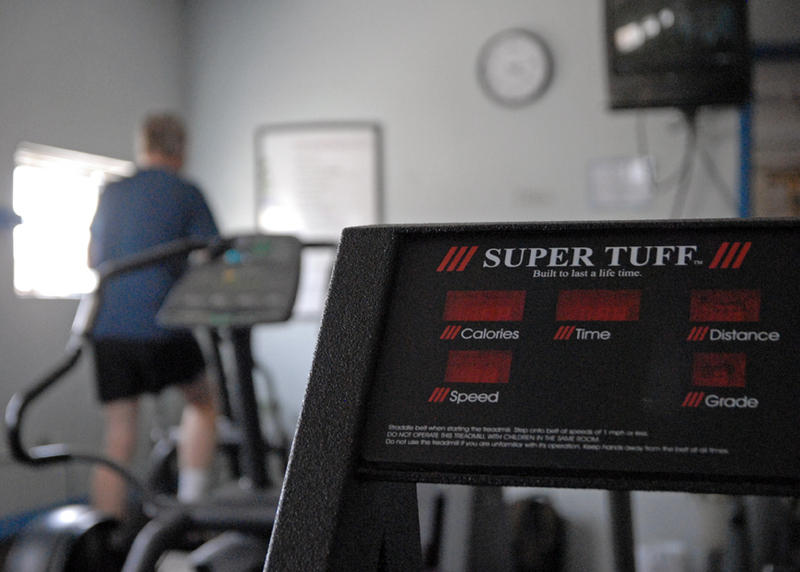 A lone Craig resident works out on an elliptical machine Friday at Trapper Fitness Club, 261 Commerce St., in Craig. A report issued earlier this month called County Health Rankings & Roadmaps rated Moffat County residents among the unhealthiest in the state. The Colorado Department of Public Health and Environment compiled information in the report. — Information compiled by the Colorado Department of Public Health and Environment. According to a report by County Health Rankings & Roadmaps, Moffat County residents are among the unhealthiest in the state. The report data was compiled by the Colorado Department of Public Health and Environment, said Lisa Brown, chief executive officer of the Northwest Colorado Visiting Nurse Association. The report ranks counties in categories such as mortality, morbidity, health behaviors, clinical care, social and economic factors, and physical environment. Overall, Moffat County ranks 50th out of Colorado’s 59 counties. By contrast, neighboring Routt County ranked ninth overall. Brown presented the data to the Moffat County Commission earlier this month and cited concerns with Moffat County’s ranking regarding health behaviors. The health behaviors category includes smoking, obesity, physical inactivity and drinking. Moffat County ranked 59th in the category, or last among counties in the state. Routt County ranked fifth. According to the report, 26 percent of Moffat County residents smoke, or 12- and 8-percent higher than national and state averages, respectively. Thirty percent of residents are considered excessive drinkers, 22- and 12-percent higher than national and state averages. Additionally, more than 25 percent of Moffat County residents are considered physically inactive, according to the data. The health behaviors of Routt County residents were considerably lower in every respect except one. According to data, 35 percent of Routt County residents are considered excessive drinkers. 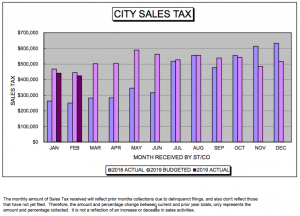 “I think a resort-based economy, which is more prevalent in Routt, and subsequent seasonal employment opportunities attracts a certain type of person to our region,” Brown said. Another area Moffat County lags behind the rest of the state is in clinical care. The clinical care portion of the report includes the number of residents not covered by health insurance, a ratio of available primary care doctors compared to Moffat County’s population, the number of preventable hospital stays, and access to diabetic and mammography screenings. Moffat County ranks 53rd in the clinical care category. Routt County ranks sixth. By far the most discouraging statistic, Brown said, is the number of uninsured residents in Moffat County. According to County Health Rankings & Roadmaps, 20 percent of Moffat County residents do not have health insurance. Brown said she believes that statistic is inaccurate and estimates the number of uninsured residents in Moffat County is closer to 30 percent. If she is correct, the number of uninsured Moffat County residents would be nearly three times higher than the national average and double that of Routt County. Jennifer Riley, chief of organizational excellence at The Memorial Hospital in Craig, believes there is a connection between the county’s overall health ranking and the rate of uninsured residents. When the report was released, Riley said TMH staffers began conversations about what the hospital’s role should be. TMH is currently in the process of constructing an informational campaign on the importance of preventative care. That impact is primarily financial, Brown said. Although many uninsured people do not take proactive steps in their own health, when they believe they have reached a critical point in their own well-being, they not only believe they are entitled to quality healthcare, they demand it, Brown said. “Uninsured people have a large impact on the community,” Riley added. “TMH and the VNA see a lot of uninsured people who qualify for ‘charity’ or discounted care. It costs the same to provide those services to someone who has health insurance as it does to those who don’t have health insurance. If uninsured, unhealthy people are driving up the cost of healthcare for the masses, what role, if any, should government play in the well-being of residents? It’s a question the county commission considered during Brown’s presentation. Brown said she is a staunch supporter of an individual’s right to make their own life choices, but pointed to Moffat County’s high rankings regarding mortality and morbidity. The mortality classification ranks counties on just one factor — premature death rate. Moffat County ranks 47th in this category, where Routt County ranks 11th. “I think it’s time for me to get out of town,” Gray said. Brown said Moffat County’s high premature death rate has nothing to do with physical surroundings. Instead, she said Moffat County’s high rate of premature death might factor into how residents view their own morbidity. According to County Health Rankings & Roadmaps, 23 percent of Moffat County residents believe they are in poor to fair health. Additionally, Moffat County residents report experiencing 4.5 poor physical health days and 3.7 poor mental health days per month. Moffat County ranks 51st in morbidity. Routt County ranks ninth. Brown said factors like poor health behavior, a high rate of uninsured residents and high rate of substance abuse plays a direct role in how people feel about themselves, both physically and mentally. Though she does not expect local government to take specific action immediately, Brown cited examples of how legislation has contributed to positive changes in health behavior. Jim Gregoire, who operates Trapper Fitness Center in Craig with his wife, Barb, believes he knows the prescription for improving not only Moffat County’s physical health, but also its mental health — exercise. Gregoire studied exercise science at the University of Wyoming and earned a master’s in 1997. He wrote his thesis on the connection between exercise and the production of positive neurochemicals in the brain. “There’s a lot we know about the human body, but we’re still in an infancy of understanding neurochemicals in the brain,” Gregoire said. “But, what exercise scientists have found is that rhythmatic exercises like walking, running, cross-country skiing, biking and dancing help promote the secretion of positive neurochemicals.